Secondary Wireless controls allow drivers to operate vehicle functions using a key pad or buttons. 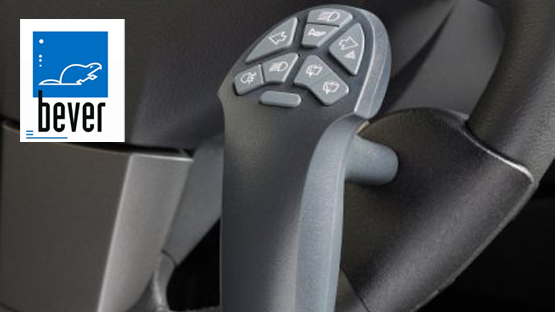 Most commonly the pads are attached to the steering wheel along with a steering aid but, can be attached to hand controls or even on a Velcro pad to put on your leg etc We can fit buttons to headrest, arm rest and doors to meet your requirements. 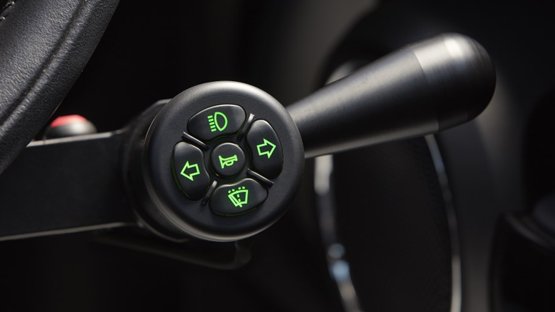 Options of functions include; Indicators, Horn, Wipers, Washers, Dip/Main Lights and custom functions. 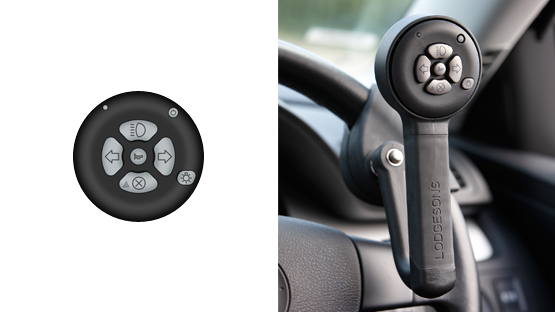 Operating most of the vehicle secondary controls but, with a unique grip and auto cancelling indicators as an extra option. 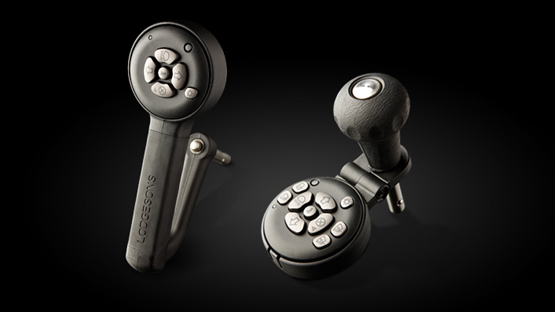 ACS Mobility Ltd is the perfect place for your secondary wireless controls.